UBSA has been in the Construction Business since 1971. 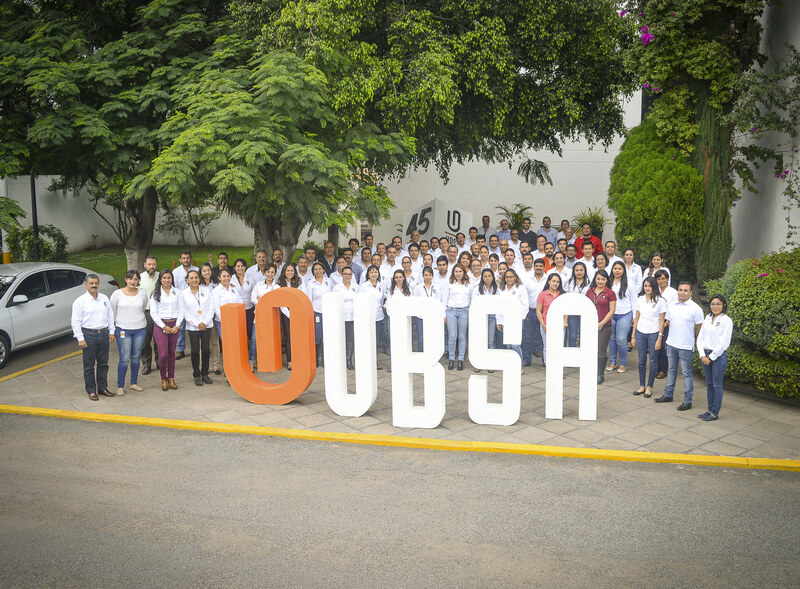 Located in Central Mexico, UBSA has carried out jobs in more than 25 cities in 13 diferent states. Our team is composed of over 270 full-time construction and management professionals plus 500 - 1,500 temporary laborers. We build long, stable relationships with our clients, suppliers, and partners. UBSA was founded on September 4, 1971. With only 5 permanent employees. Our first proyect, the land development of Las Reynas in Irapuato, Gto. La Pradera, land development project, in Irapuato, Gto. Undeground parking lot construction in Salamanca, Guanajuato. Green Giant. Greenhouses and infrastructure construction. The beginning of a close and lasting relationship. UBSA was awarded its first project with General Motors, another lasting relationship. Partenership with Baker Concrete, number 1 concrete specialist in the U.S.
At the end of 1994 the slogan WE BELIEVE IN MEXICO is born in response to the economic crisis. UBSA obtains the ISO 9001:1994 Management Quality Certificate for Engineering and Construction Services. UBSA awarded with Bronze Cross for "Best Builder", period 2002-2004 by CMIC. Fresh-cut & Food Procesing Plant Construction. Construction of Metate Project for General Mills in Irapuato, Gto. “El Rehilete“ our latest social impact-oriented project. Designed to houseover 10,000 low-income families in Joint Venture with Prudential Real Estate Investors. 60-bed Hospital in Acámbaro, Gto. The most modernin Latin America, built after learning and evaluating similar project on Europe. 30-bed Hospital in San Luis de la Paz, Gto. Pope's Visit, Mass for more than 500,000 people. INFONAVIT Award, for 40 years (1972-2012) of continuous contributions and ensuring our workers their right to a house credit. Mother & Child Hospital in Irapuato, Gto. UBSA includes Process Engineering & Equipment installation as part of services provided. Pet Food Plant in Silao, Gto.